KingdomLifeFire.com was the original website for Kingdom Life Church… a website blog and media center started for Kingdom Life Church when it was still in planning stages and not yet planted in Orlando, Florida. Now Kingdom Life Church is here but I remember back to this original website and how I was led to term the phrase “Daily Fire” which means as God provides us his “Daily Bread” that Jesus spoke of, let us also stoke the flames within us that Jesus puts there. That is the offering of time in relationship with our Savior inspired by the fire on the alter written about in the Book of Leviticus. 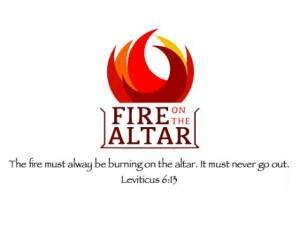 Let us always stay faithful to our “Daily Fire” and never let it go out. This “Daily Fire” is what is being symbolized in this website name. God commanded the priests of the temple in Leviticus 6:11-13 (repeated 3 times) to never let the fire go out on the altar and to keep it fresh Fire on the alterwith new wood every morning. Under the New Covenant with God, thanks to Jesus, the temple is no longer the holy place of God and the priest is no longer the mediator between God and his people. Jesus is the mediator and as believers, Jesus lives in us through the Holy Spirit. 1 Corinthians 6:19 says, “Do you not know that your bodies are temples of the Holy Spirit, who is in you, whom you have received from God? You are not your own.” Yes, we are not our own because we follow and serve Christ. He laid down his life that we might gain eternal life, and during our lifetime Jesus has a special destiny for everyone who will step up and take the honor of answering his call. As followers of Christ make no mistake, we are in this world, but not of this world. We are members of the Kingdom of God, but God wants us here as representatives of his Kingdom, saving souls, adding to the Body of Christ andrun the race with endurance advancing the Kingdom. 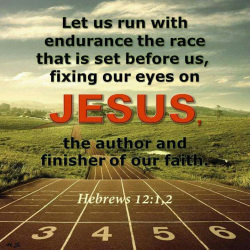 We need to keep the fire burning to be equipped to run the race God has set before us, with all the witnesses around us, keeping our eyes fixed on Jesus (Hebrews 12:1-2). This community of believers is very important also because the flesh is weak, but the Spirit is willing. A daily walk with God takes work and support (devotion). Sometimes it involves getting back up when you fall down. Thank God for our brothers and sisters in Christ for this support along with the grace and mercy of our forgiving Lord and svior. Jesus is the great Redeemer, and gives us countless chances to begin a walk with God or even change the direction of our walk when needed. How one walks everyday becomes a lifestyle. This is why we are not naming this church, Kingdom Walk Church or Kingdom Moment Church. It is a lifetime of walking with the purpose of advancing the Kingdom of God. It’s a lifestyle of seeking God’s will, striving to emulate Jesus, and supporting one another in that walk. That is the Kingdom Life and it’s best lived when we have that fire inside for Jesus.